Welcome and thank you for visiting! If you are looking for not just an average wedding DJ but an outstanding wedding DJ, you have found the correct website. Please feel free to have a good look around to see what we will do for you. 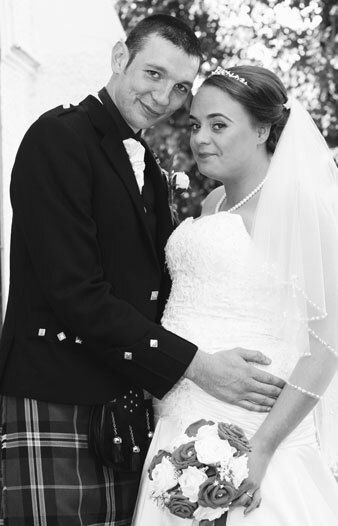 With over 20 years’ experience, we are a husband and wife team based in Glasgow who love weddings, in fact we specialise in them. Our business strategy surrounds customer focus, quality and reliability. No wedding is too large or small and we take pride in ensuring your special day will be memorable! 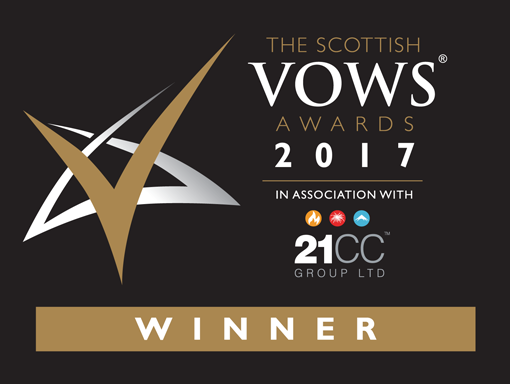 As VOWS (Voted Outstanding Wedding Supplier) award winners, two years running, in 2016 and 2017 and having been Specially Commended by the Confetti awards in 2018, we are proud to be able to genuinely say we are a multi award-winning business. 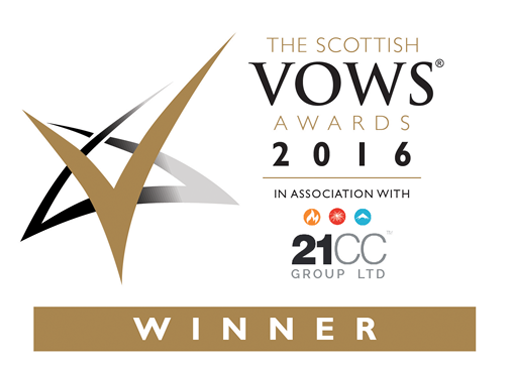 NO other DJ service in Scotland has achieved such repeated accolade meaning we are the best provider for your wedding entertainment! All of our testimonials, trophies and certificates are a result of 100% dedication, enthusiasm and hard work. We don’t only cover Glasgow, we travel all over Scotland and follow the simple policy of placing our customers at the heart of everything we do. For your reassurance, we are fully insured (£10 million Public Liability Insurance), all equipment is PAT (Portable Appliance Test) tested and we will be delighted to meet you before your wedding to discuss every aspect. They were the best suppliers of everyone we dealt with for the wedding. We hired Gordy as our wedding DJ and what we got was Gordy & Emma giving us the best experience we could imagine. Right from the first phone call they were friendly and enthusiastic and fun. They were the best suppliers of everyone we dealt with for the wedding – they made it effortless for us, and did all the arranging with the venue so we didn’t need to do anything. On the day Gordy did an amazing job of getting everyone involved and making the evening a great party for us to celebrate, with lots of nice personal touches. 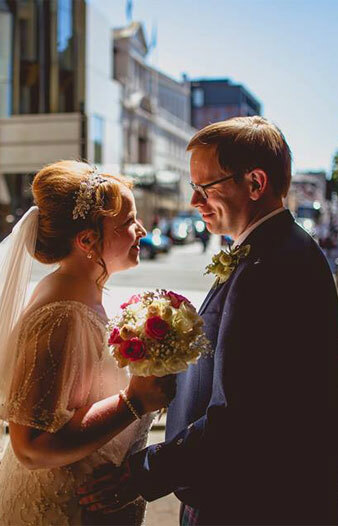 We are so glad we chose Gordy & Emma for our big day and would recommend them without a second’s hesitation! Jennifer & Michael Nimmo, Wedding Reception, National Piping Centre, June 2018. 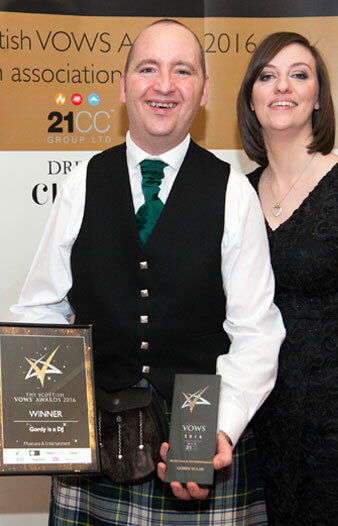 The Scottish Wedding Directory interviewing Gordy and Emma after winning the VOWS Evening Music – Wedding DJ for the second time in a row. Gordon is truly a talented man and had our guests on the dance floor all night. We had lots of compliments about the service him and his wife Emma provided and they made our wedding reception amazing! Would definitely recommend them – worth every penny and more!! 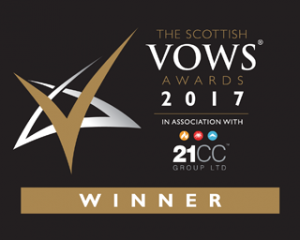 The confetti Awards are a free to enter, public voted, independently judged award scheme celebrating the best of the Scottish wedding industry. 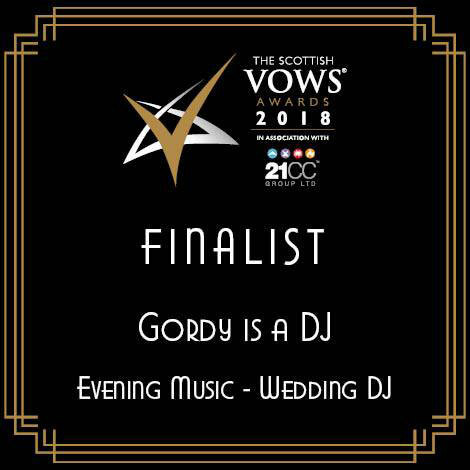 On the 28th January, at the 3rd annual Confetti gala final, Gordy Is A DJ was awarded a Special Commendation confirming our status as one of the top wedding DJs not only in Glasgow but the whole of Scotland. Whatever your size of event or crowd, Gordy is a DJ is able to provide an impressive sound and lighting show. Our rig is designed to provide instant visual impact and is supplied as standard for weddings! This was included in BBC television programmes including Waterloo Road, Pramface and Gary Tank Commander. The above video demonstrates the lighting setup which is standard for all events. Please provide the following details. We aim to contact you within 2 hours!